You are going to make your very first business trip to India. You have little or no information about the lifestyle, food habits, weather, people or the business culture in India. In reality, you have nothing to worry about, as India is no longer a strange land with snake charmers, turbaned men or angry elephants. You can be sure to enjoy your business travel to India, with your hospitable Indian friends catering to your every need and guiding you through the city. Do some research on India and get some background information about the particular city/ town that you are planning to visit during the business trip. Get yourself a map of the city/ town that you can use while traveling in India. Do study the company you are planning to do business with. Visit their website and read up on their services, offers and benefits. You could talk to the companies who have previously done business the Indian vendor you are interested in. Ensure that you drink only bottled water. When ordering for bottled water, ensure that the cap is sealed. Use bottled water for everything, including for brushing for your teeth. When buying a coke or soda, buy only canned ones. Do opt for private taxis or cars, that you could pre-book from your hotel or an acclaimed travel company. Venturing out on the streets in unknown areas, might leave you lost and you stand a chance of being followed by auto-rickshaws and taxis who would try to persuade you to hire them for a ride. Do stay in a 4 or 5 star hotel, as they can offer you with services on par with international standards. You can be sure to experience comfort and luxury in India's finest business hotels. Do pay all your dues and hotel bills in foreign currency only, either in the form of credit cards, cash or traveler's checks. You will even have to pay for tickets, if any, in foreign exchange only. Do buy travel tickets only from authorized centers; if possible, ones specialized in business travel in India. Avoid buying rail, bus or air tickets from unauthorized tour operators or travel agents. They might turn out to be unreliable. Do hire taxis or auto-rickshaws from pre-paid booths, whenever possible. Ensure that you are charged the correct fare, by checking the readings and going by the meter. Decide on a fixed fare in advance, in case of missing or malfunctioning meters. Do carry your own medicines, as you may not find the same brand of medicine in India. If need be, do hire a government-approved and trained language translator who is fluent in English, Spanish, Italian, German, Russian, French, Japanese or any other language that you require. Do avoid visiting isolated places without a companion. Avoid going out very late at night. The electricity in India is AC with 220 /250 and 50 cycles. Do carry converters for your camera, iPod, mobile phone or laptop. Do remember to remove your footwear when visiting holy places of worship like temples or mosques. Do put your skepticism about India behind when you arrive in India. India is known for its exceptional hospitality. Your hosts truly want your visit to India to be pleasant and memorable. Your colleagues will go out of their way to make you feel at home. All you have to do is simply accept it. Do bring along a stack of your business cards, as everyone you meet would be asking you for one and you will be getting business cards from the people you interact with as well. Do address your Indian colleagues by their name. In case, you are unable to pronounce it, ask again and try to remember. Do set aside a few days from your business schedule to visit tourist sites. You could also hire a tourist guide if you are especially interested in Indian history or art. Do dress modestly and professionally when attending business meetings. When touring around, you can switch to casual wear. Do ask your Indian colleagues or your hotel for help if you find yourself in a troubling situation. They would be glad to get you out of a tight spot. We wish you a pleasant business trip to India. Will my mobile work in India? How to get a prepaid cell, phone connection & tariff plans in India? Get your answers here. Want to know requirements & procedure for applying an Indian visa? Read this article to apply for an Indian visa. Check mails on Blackberry/PDA/laptop as Indian metros have Wi-Fi in airports, railway stations, coffee shops & hotels. 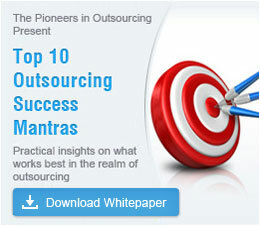 Which Indian city has best resources, set-up & tops outsourcing league? Find India's 11 most preferred cities.